That was my daily grind for 3 years. Easy with the proper tools. 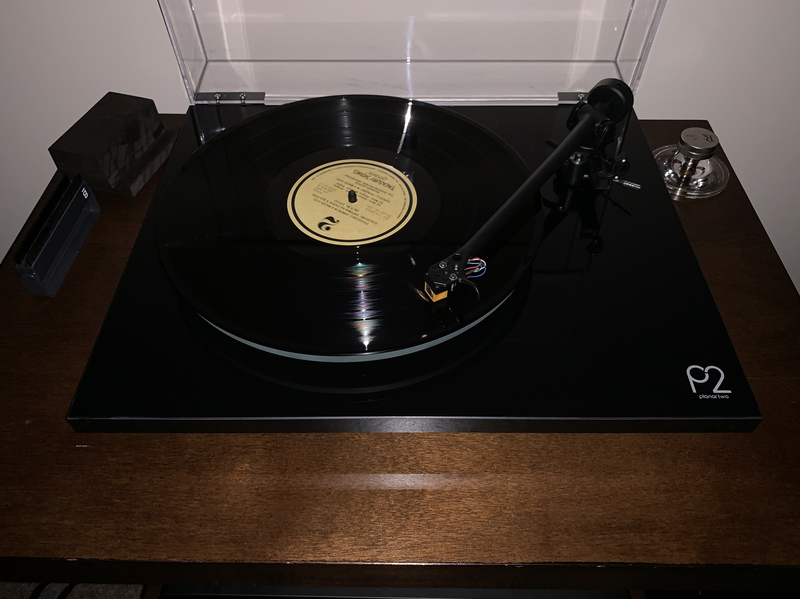 Having never did it before myself, when I refurbed my Kenwood TT, I made new headshell leads in about 30 minutes and used the same tonearm cable. 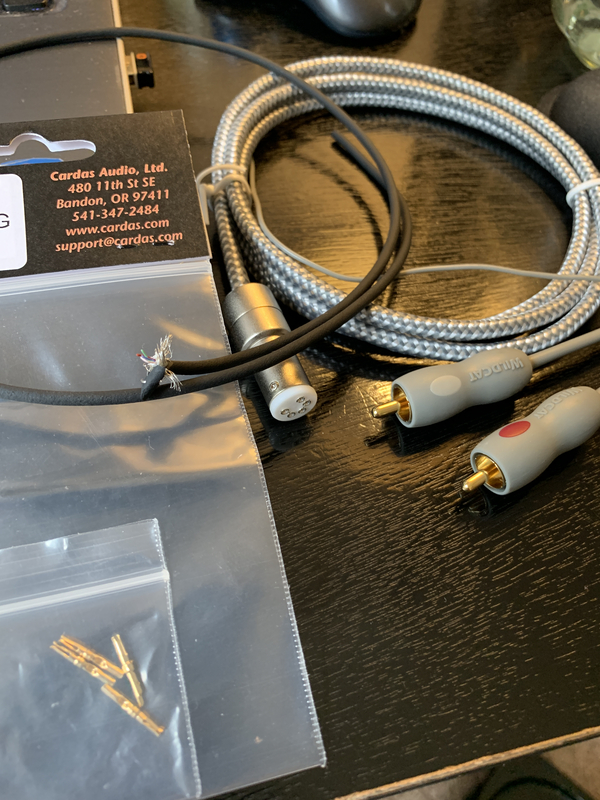 The results are a vast improvement over my stock leads and tonearm cable. 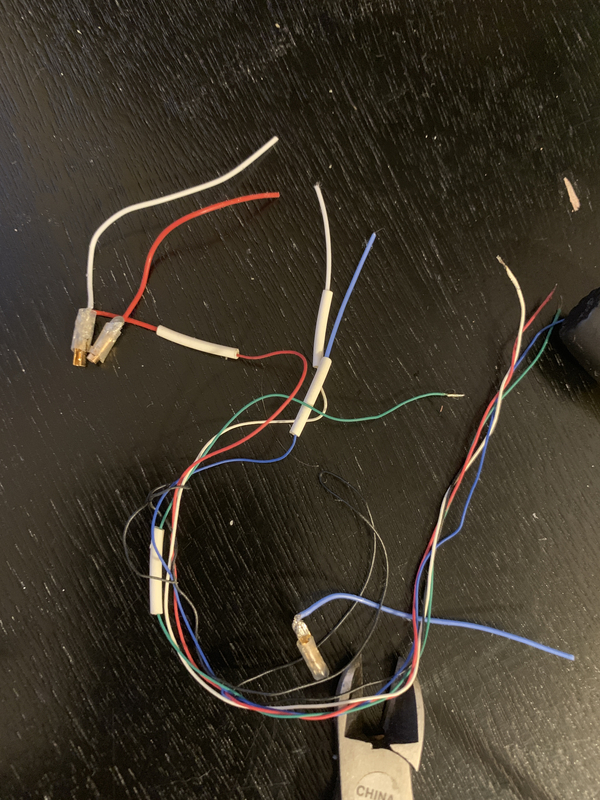 This spliced together crap was what was inside my tonearm, I can only imagine I’m going to hear an improvement. Ok. I throw in the towel. Paul tried to help me but I’m done. I got 15 years out of it. That should be good. Never give up Joe my man! Patience grasshopper. Yeah, I caught that much, but what's in the first pic and what's being given a shot? Sorry sir no condescension meant! 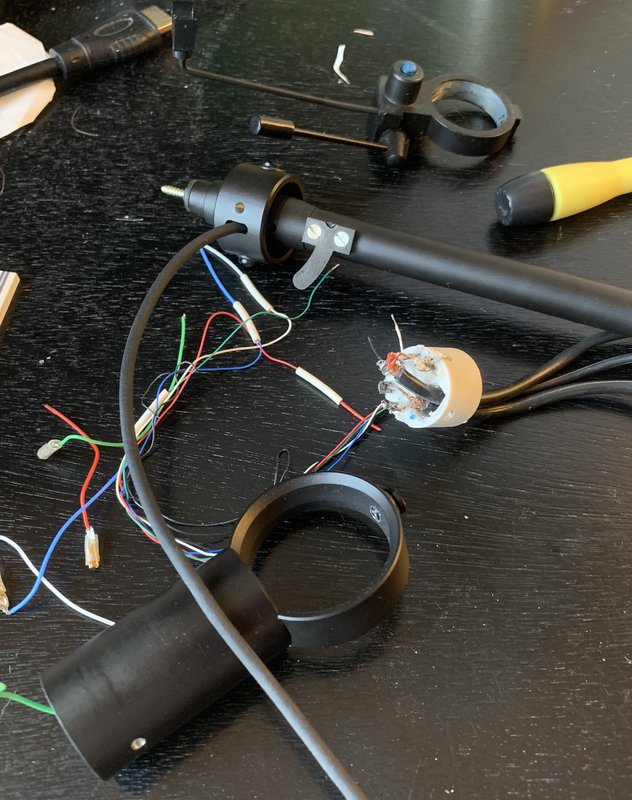 I believe Joe may be trying to re-wire the tonearm output wires to a new set of RCA cables, with a separate jack to the TT. Just my guess. Yeah so I can say I tried. I think it was out of my skill set. The table just had this ground loop somewhere in the tonearm. Paul helped me check all wires and continuity but I could not isolate it. I got a good run from this deck but it’s going out to pasture. New deck on the way. Turntables are notorious for ground loops. Of course, they are based on 19th century technology. Not quite Mr. Fox... the concept may be that old, but the technology has not remained stagnant. The basic precepts that current tech has evolved from came about in the late 1950's.